UIDAI has now bought many changes for the people of India where they can change or update their date of birth, Address changes in their Aadhaar cards. You have to visit the Aadhar center with new phone. They would first validate your finger prints and then send the OTP to new phone number. You have to furnish that OTP then and there to get the new number updated. - This is my experience. How to change my photo in aadhar? What is the need to change your photo? I have changed my address in aadhar but not received the original one. You should visit nearest enrollment center, bank or post office where Adhaar enrollment is being done with Government approved documents in the name which you want to print. 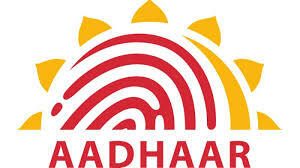 The Government approved documents for identity are Passport, PAN card, voter ID Card, Driving Licence etc. How can Telangana people of erstwhile Andhra Pradesh get state name changed? Other part of the address is same. All Proof of Address documents also have Andhra Pradesh. Can DOB be changed online? How to change date of birth of my daughter. How to Change my Date of Birth in Addhaar card? How to handle transliteration while changing address online? My local lang is set to marathi but i got rejected 3 times. How to change my address. How tochenge my mo no. How to make corrections and new additions in Aadhaar card?During the enrollment for Aadhaar card the details of some of us has been entered wrongly and even majority of us have shifted from one area to another, changing the address. e-Aadhar Card Till today plenty of enrolled public haven't yet received the card and the postal department has been failed in the delivery process.